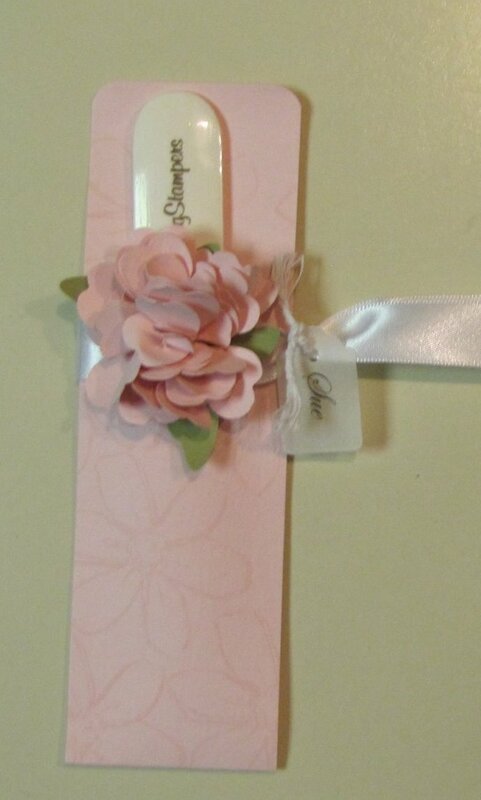 I am so excited that we can finally order anything from the new catalog. 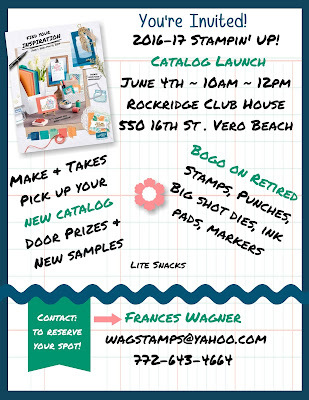 If you are ordering on line this month from my Stampin' UP! 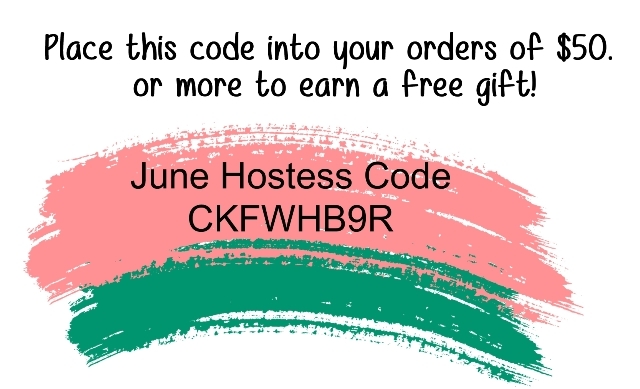 website HERE , be sure to use this hostess code below so at the end of the month I will send you a gift for ordering from me. 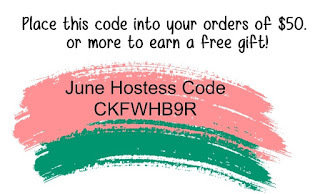 If you are ordering $150 or more do not use it so you can get your own Free Rewards. If you have any questions don't hesitate to contact me. Thanks for stamping with me. Starting in June I am offering my new In Color Club. 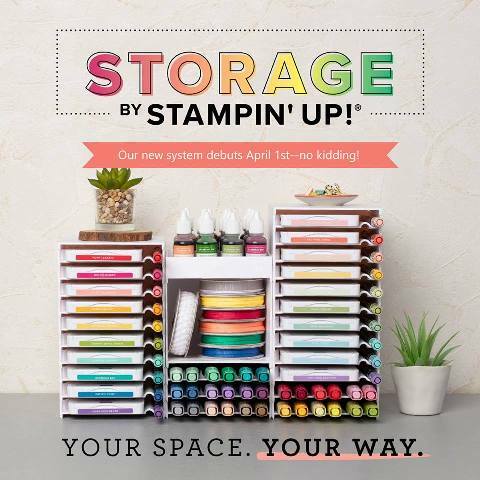 This is for those of you that want to get all five new In Colors on a budget – You spend a little each month and at the end of five months you have it all. You can live in town or across the country to participate in this club. 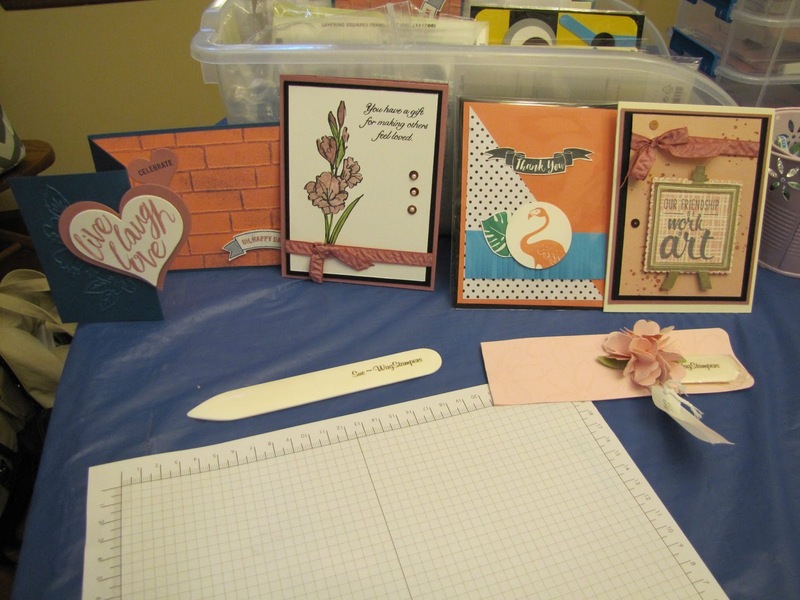 A hand stamped card using your in color of the month. In your last package you will receive an extra gift from me. Your credit card will be charged the first week of each month. Welcome to 2016/2018 In Color Inspiration Club! Become a member of the 2016 IN COLOR INSPIRATION CLUB and have it all! This club will begin in June and end in October and will give you the entire collection for just $35.00 per month. You will receive 8 1/2" x 11" cardstock, classic ink stamp pad, ink refill, a roll of 3/8"ruched ribbon (10 yards), In Color Enamel Shapes (one sheet) and a marker in each of the above pretty In Colors. You will receive one color per month. In addition, one month you will receive host benefits! On the last month you will a gift from me. First come first served and if you are first to sign up you will get the Dapper Denim colors first and if you are second to sign up you will get the Emerald Envy first, etc. Sign up today. 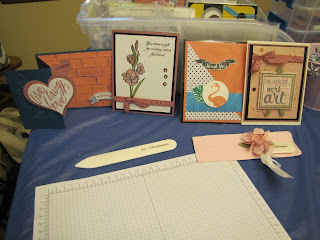 Join me in the NC SU Demo's blog hop you will love the ideas you find. 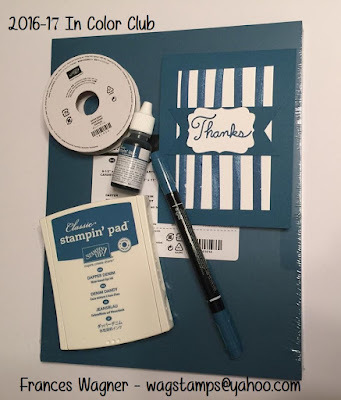 When I started my Stampin' UP! business almost 17 years ago I lived in Kinston,NC and have moved 7 times since then. When I started recruiting my first recruit lived in Victorville,CA, then I moved back to NC and started working on my business. 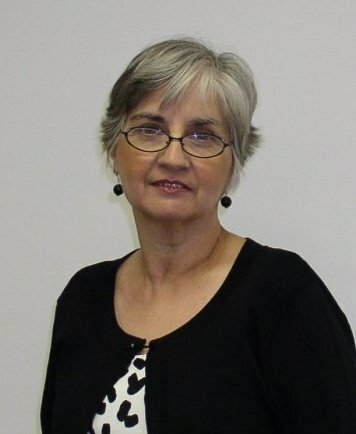 I have team members in several states and having an in person team meeting is impossible for me since I live in Florida and most of my team members are in NC. Last weekend some of my team members gathered in Raleigh at Sue Root's house to meet and I met them on Skype and it was fun to see their smiling faces and the projects they were making. I sent a little gift for everyone to Sue in advance so she could make sure they got them at the meeting. 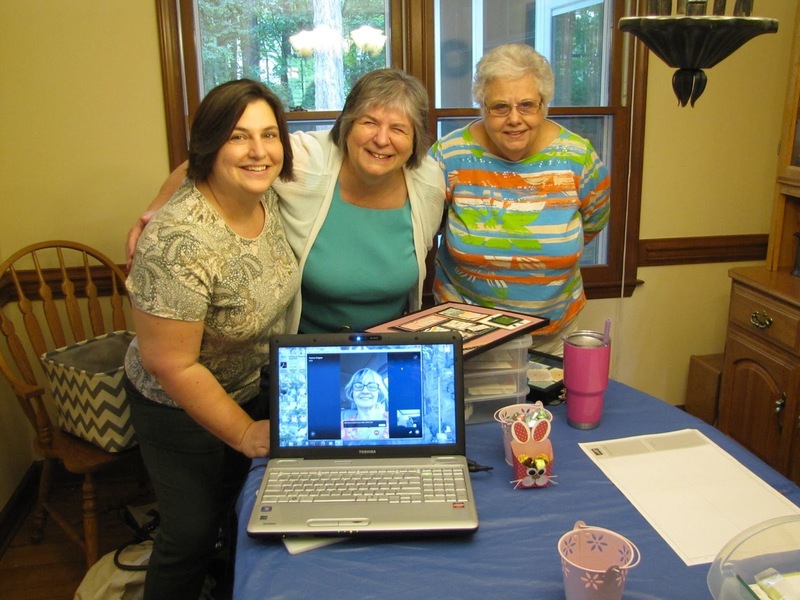 Below is left to right Sue Root, Pat Stockton, Karel Standish and me on Skype. What a fun time we all had. So you do not have to live next door to me to be on my team. I love it when they gather to create and share with each other. Contact me to join my team and to have all this fun now matter where you are in the US. These are the shoe box swaps they made. I sent mine in the mail for them to have. This was my team gift for those that attended. I have a demo friend in North Carolina (Tamra Davis) who engraves bone folders for personalizing their names and the name of my team WagStampers. 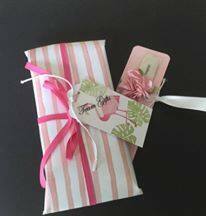 I cased Becky Roberts cute bone folder holder to put them in and just wrapped them in this DSP paper and made that cute tag. 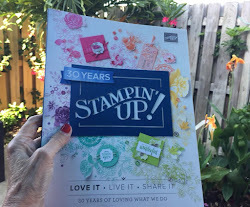 Living in Florida I am loving the Pop of Paradise NEW stamp set that has flamingos and palm leaves and a pineapple. I know you will love it too. 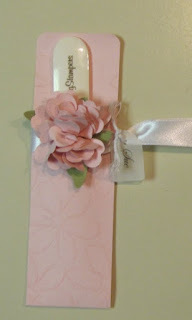 Here is a sample of the adorable bone folders that Tamra engraved for me. 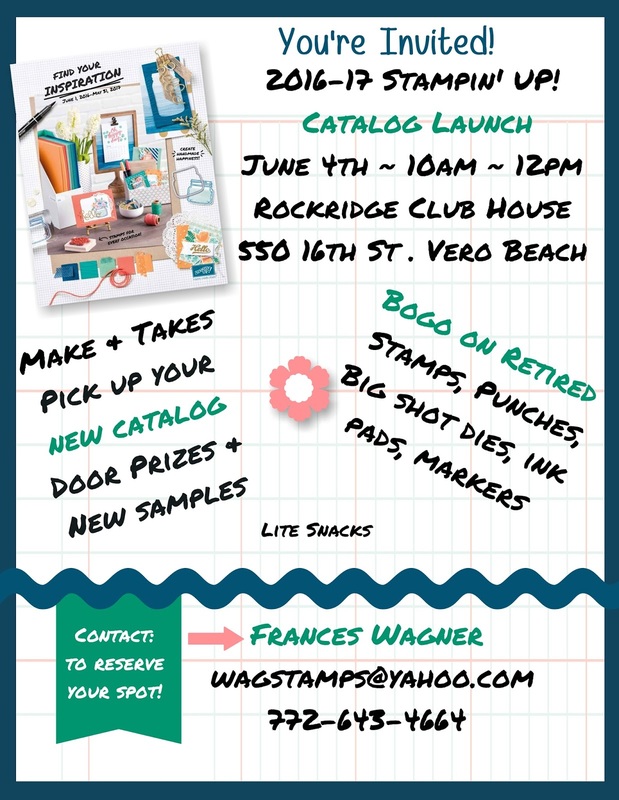 Thanks for stopping by and don't forget you can order from the new catalog June 1st and view the catalog on line then if you do not already have a catalog of your own. Contact me for information on sending you one in the US only. 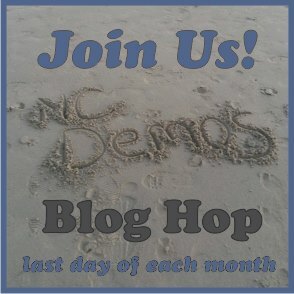 Make sure you follow the NC Demo Blog Hop.